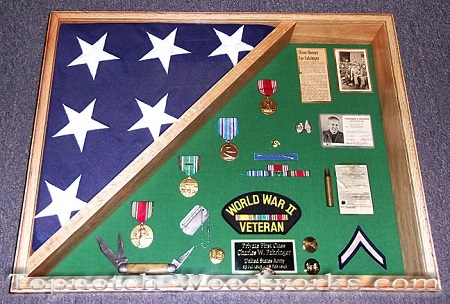 This burial flag case is constructed with SOLID American hardwoods and is handcrafted by a 20 year USAF Veteran, right here in the USA. 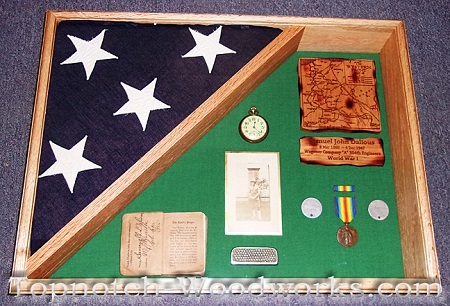 Access from the back panel allows for easy display of a burial flag and memorabilia. 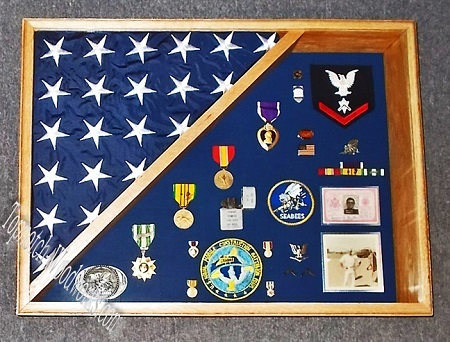 Fits the standard burial flag provided by the United States for Veterans, also known as an interment flag. 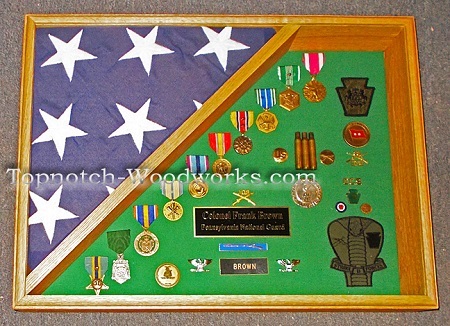 This Burial Flag Shadow Box is beautifully crafted, and will provide safe and secure storage for the flag and memorabilia. 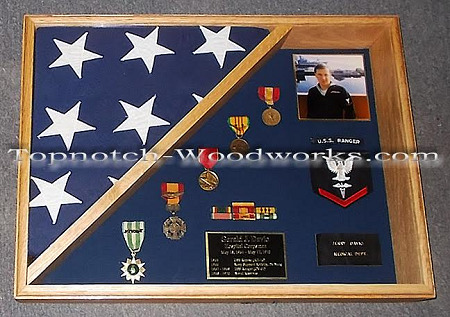 Ken, Dealing with the sudden, tragic loss of our young Coastie, Scott III,, you have been a friend and a blessing. You are a true shipmate and we appreciate it more than words can say. 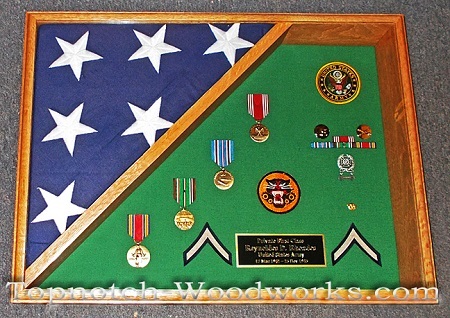 Our son’s burial-flag box is perfect, a beautiful piece of work. Recommend you and your product most enthusiastically to anyone. God bless you for all. Shauna loved the box! 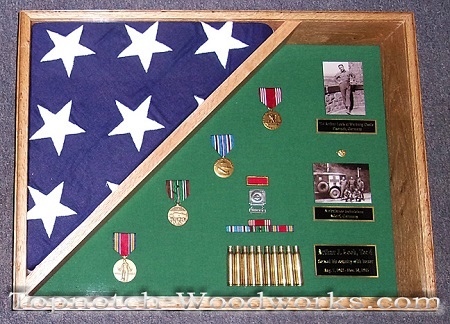 It serves as a perfect memory box for Bill’s medals and flag. Thank you!